Combination of Strawberry and condensed milk cream. Enjoy fresh strawberry hidden. Always great combination of banana flavored custard cream and cocoa flavored puff shell! Chocolate with banana chip is on top. 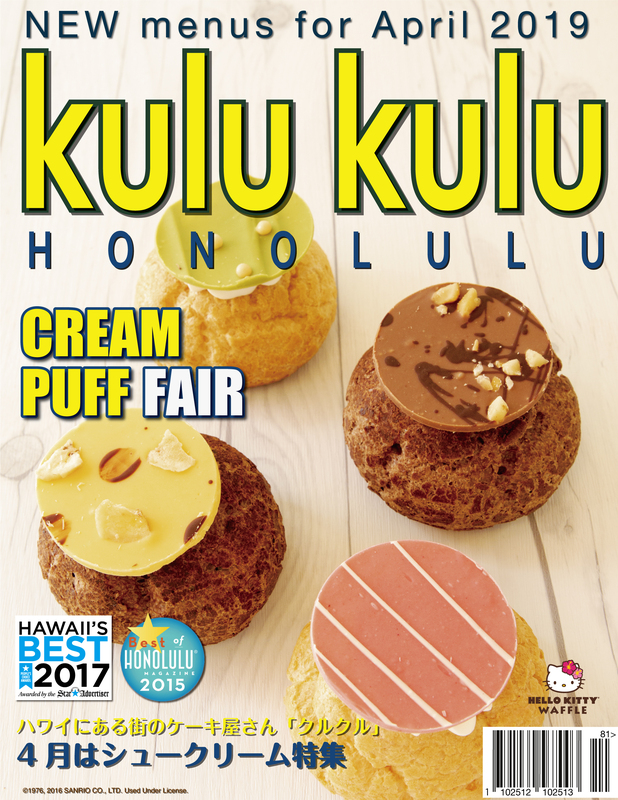 Now add extra milk to Royal Hawaiian Center exclusive “Kona coffee puff”. Only now you can enjoy this at all locations! Rich milk and matcha flavored cream make even kids happy! Enjoy it with matcha flavored chocolate.